“The doctors said that in June and July alone there were 250 killed and 850 wounded in the Luhansk region,” the report said. In addition, the doctors informed that on July 16 alone three persons were killed and 30 were wounded in Luhansk. 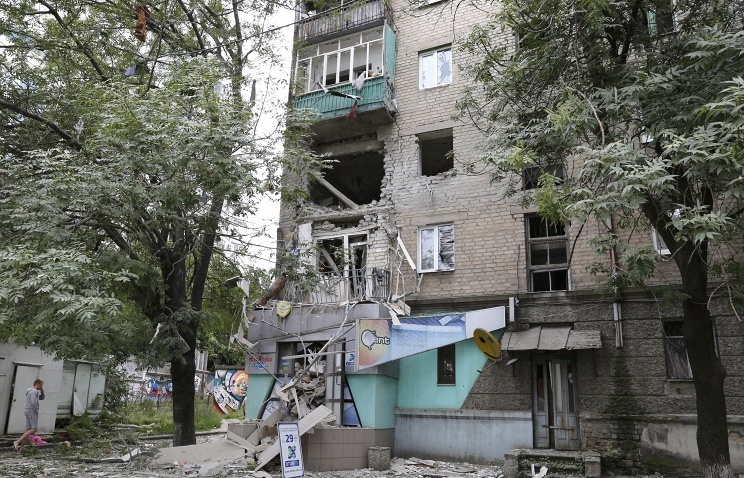 ---- “While patrolling the city centre of Lugansk, close to the occupied building of the Regional Administration, the SMM heard the sound of a shell hitting a garage, located about 200 metres away. Within two minutes the SMM arrived at the scene and found one man killed lying on the pavement; the garage and a car were totally demolished,” the report said. The Special Monitoring Mission to Ukraine currently consists of 300 civilian unarmed monitors from more than 40 OSCE participating States and local staff from Ukraine. The Mission’s Head Office is in Kiev and there are monitors working in Kherson, Odessa, Lvov, Ivano-Frankovsk, Kharkov, Donetsk, Dnepropetrovsk, Chernovtsy and Lugansk regions.